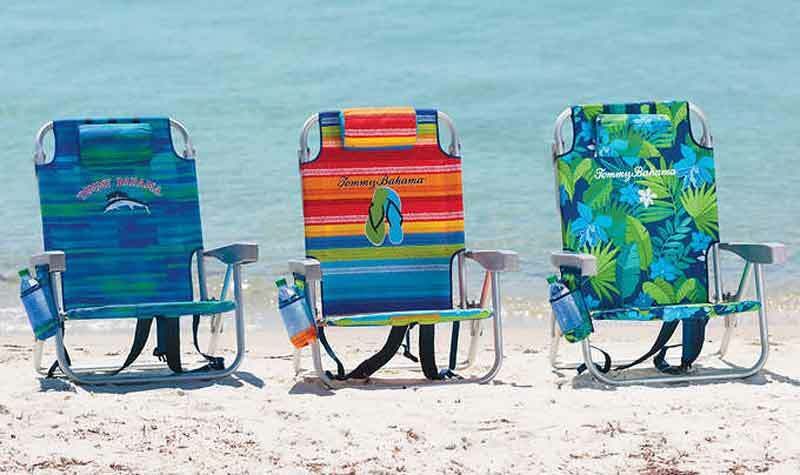 The deluxe backpack beach lightweight aluminum chair will not rust and it collapses for hands-free toting. 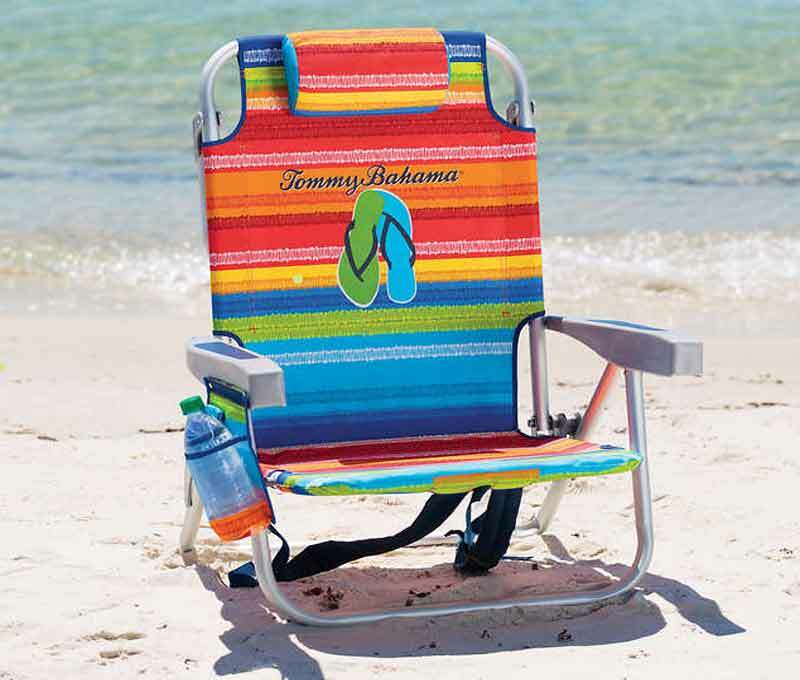 This Lounger reclines to five different positions for just right comfort and sunning. 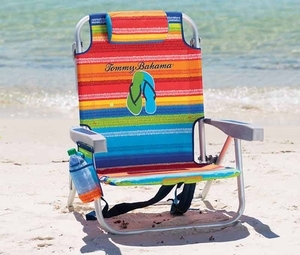 With an insulated pouch, cell phone holder, towel bar, adjustable pillow and more, you're guaranteed to always have the best seat at the beach. 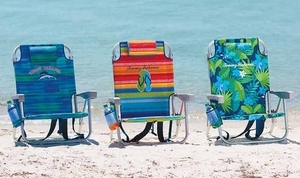 Features: Adjusts to 5 positions Adjustable pillow Upper storage zippered pouch Lower insulated zippered pouch Side pouch with drink holder and cell phone pocket Padded backpack straps Rubber carry handle Folding towel bar Aluminum frame Steel seat support Safety locking hinges on the rear legs Durable 600 Denier polyester fabric Weight capacity 300 lbs.